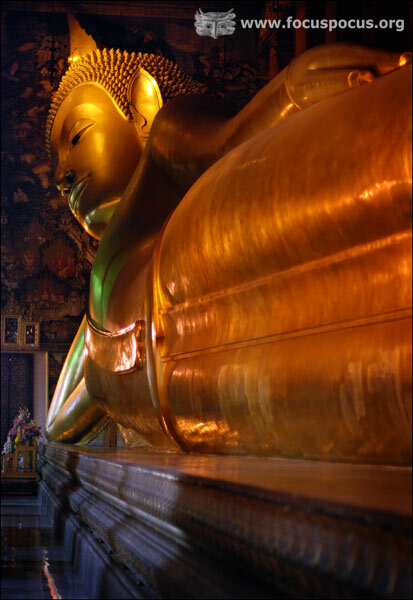 The Reclining Buddha is found at Wat Pho, one of the largest temples in Thailand. The statue is decorated with gold plating and mother of pearl. It is 46 metres long and 15 metres high.